More Than One Hair Transplant - Necessary? 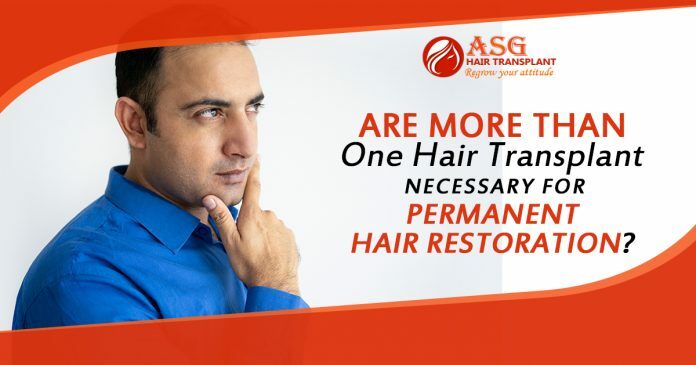 Home hair transplant Are More Than One Hair Transplant Necessary For Permanent Hair Restoration? Hair transplant surgery is a surgical procedure to treat excessive hair loss and baldness. Additionally, hair loss is a common health problem which can cause because of hormonal changes, a poor diet, and genetic factors. You can converse with your doctor in order to get information about the hair transplant In Punjab. Moreover, hair transplant is of two types, for example, FUE and FUT that explain as Follicular Unit Transplantation and Follicular Unit Extraction. These both methods are effective and safe for any type of hair fall. Majority of people follow FUE as compared to FUT transplant procedure because this procedure will offer you a benefit of less scarring result. This transplant procedure includes the many ways of a process, for example, preparing donor hair area, collecting hair from the back of the head, grafting the hairs into units, and then transplanted that grafts at the beneficiary area. This procedure gives you a more natural and permanent solution for hair loss but it depends on the post-care. If you want to recover quickly then you should go with a healthy lifestyle and consume a healthy diet. Additionally, you must follow all the prescriptions that are given by your surgeon on time. How does a hair transplant procedure works? This transplant procedure is totally safe and secure and offers you more natural results. But you have to wait for 6 months in order to get better results because this procedure does not give you immediate results. You have to take care of your transplanted hair for one month in order to get more thick density. You should take all the prescriptions that are recommended by your surgeon. In addition, a majority of people ask their surgeon how much transplants they need for permanent restoration. The actual number of transplants are depending on the hair loss reason. First, your surgeon examines you and tell you about the hair condition and number of transplants you need. But he is unable to tell you prior to the evaluation period. Many people need 2 or 3 cycles of hair transplant but it depends on the growth of donor area hair. If you have enough donor’s hair then you do not need extra transplant procedure for permanent restoration. Many people need extra transplant who have many bald spots or have complete baldness. Some people who are suffering from genetic hair loss need more grafts and methods. In this way, they need a combination of both methods such as FUE and FUT. If you are in doubt you should visit us today and fix your appointment to get knowledge about the hair transplant process. But your transplant process depends on your donor hair growth only. Previous articleHair loss: Can Food Allergies Cause the problem of thinning of hairs?